Beverly Heimann’s going away party is almost too big for the spacious room where Hope Workshop is held. Over her two years as a volunteer with CRP, her love and drive have had a permanent impact on not only the workshop but the strength of the community as well. It seems like every woman who has ever attended a session with Bev has come to wish her well after her two years here. Talk to anyone and Bev’s vital role in the evolution of Hope Workshop will be apparent. Reem, one of the participants, says, “Bev is very talented, she taught me about making exact measurements and choosing fabric. She is very creative and we will miss her very much.” It was on Bev’s directive that Hope Workshop started sewing the gnomes, which have become so popular that they are now one of the workshop’s staple products. “It’s nice to know that these little gnomes that make everyone smile has made a difference in these women’s lives,” Bev says. Bev not only provides the women of Hope Workshop with sewing and crafting expertise, but she also provides them with the skills to continue making the products independently. Over the last year, Bev has been taking all of the women fabric shopping and showing them where to get the best deals and how to choose fabric with patterns that will not generate much waste. Now the women negotiate the prices themselves and get better prices than Bev ever has! As a long-time volunteer with significant influence in the direction of Hope Workshop, it will not be easy to replace Bev. 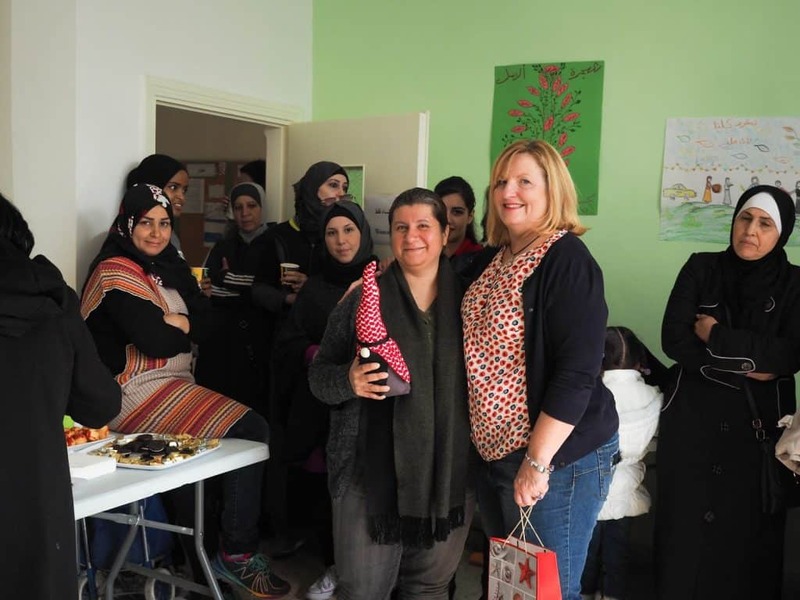 So rather than trying to find one person who can embody the dedication, love, and nurturing support that Bev supplied the workshop, the women have taken on her responsibilities communally thanks to their training and learned expertise. “It’s nice to know that these little gnomes that make everyone smile have made a difference in these women’s lives,” Bev says. We’ll miss Bev’s expertise, but her influence in our community will last for a long time to come. She’s strengthened not only the crafting at Hope Workshop, but the friendships that define it. Even as it grows bigger every year, there is still intimate care among the women. CRP emphasizes the importance of community, and we couldn’t have asked for a better community leader. Thanks for everything Bev!